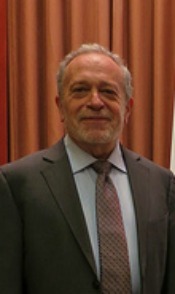 GRAND RAPIDS June 2, 2015– Robert Reich knows a thing or two about economics and unions. Why? Because as a Rhodes Scholar economist who served as President Bill Clinton’s Secretary of Labor, he has spent his entire adult life studying how the strength of the labor market has an effect on the overall economy. But he’s no ivory tower elite– he grew up in working class Scranton, PA and experienced bullying and social injustice first-hand as a young man. As a result, Reich has dedicated his career to helping the poor and middle class fight against wealthy and powerful corporate bullies. It’s important to understand CEOs are not job creators. Nor are the rich. Nor are corporations. The job creators are the middle class and the poor, whose purchases are the reason businesses create jobs. If the middle class and poor aren’t paid enough, job creation slows. Which is why a higher minimum wage creates jobs. This is coming from an economist who has served on the administrations of both Democratic and Republican presidents. So this isn’t a partisan issue– it’s a matter of common sense; if you put more money into the pockets of the poor and middle class and you’ll boost the economy. This is also why Reich is such a strong defender of unions, and constantly pushes for laws to be passed which would allow people to more-easily join unions and organize them in their workplaces. MoveOn.org recently partnered with Reich to produce a series of short videos called “The Big Picture: Ten Ways to Strengthen the Economy.” In the seventh video of the series, he explains why having strong unions will strengthen the middle class, and he shows how, as union membership has declined over the past 50 years, so has the middle class’s share of the nation’s wealth. This entry was posted on June 2, 2015 by WMALC in Organizing news and tagged Bill Clinton, Democrats, MoveOn.org, organizing, Republicans, wages.